Our annual Spring Trip to Yellowstone National Park took place this year from May 17 thru May 28. As always any trip to YNP is great and should be experienced at least once in everyone's lifetime. This year was a little different from past trips in that we encountered below average temperatures and above average precipitation. We had several days of snowfall, with times of whiteout conditions. The mountain passes were closed and the park was having trouble with landslides because of the saturated ground. While this was a refreshing respite from Texas weather where we were already approaching temperatures near the century mark and are in the middle of an exceptional drought which will probably go on record as one of the driest times in history, it did hamper our photo ops to some degree. With record cold and deep snow in parts of the park, the wildlife was just starting to make their spring movements. A lot of the bears were still in their dens as of the middle of May. 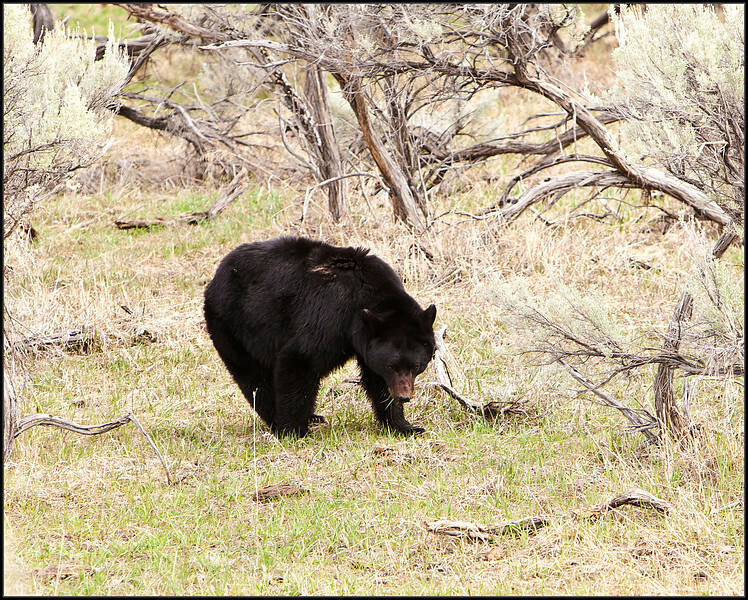 We saw very few bear cubs, however, some photographers were fortunate to find them when they were up and about. Putting all that aside we did manage to click the shutter several hundred times. I may also be getting more selective on what I shoot. We took a lot of scenics and winter type of landscapes. I hope that anyone that happens to view my gallery will enjoy it as much as I enjoyed taking the photos. Please leave a comment if you care. I always enjoy the feedback from other photographers.